Over the past 18 years, Lionel Laroche has provided cross-cultural training, coaching and consulting services to over 75,000 people in 18 countries. Lionel specializes in helping professionals and organizations turn the challenges that cultural differences create initially in most organizations into a source of creativity and innovation. Lionel Laroche is a very dynamic, entertaining and educational speaker / facilitator. 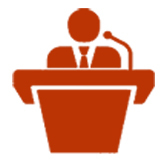 He has presented at over 250 conferences and venues all over the world. Furthermore, he has served a wide range of business, government, academic, professional and non-profit organizations through his work. Laroche is also a tireless author. He has published learned but practical articles examining the impact of cultural differences on business and human resources. His publications have appeared in over 30 trade magazines published in eight countries. 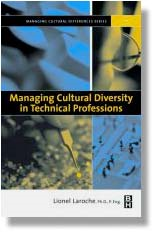 Managing Cultural Diversity in Technical Professions, which has sold over 4,000 copies (2002). Recruiting, Retaining and Promoting Culturally Diverse Employees, which has sold over 6,500 copies (2007). Danger and Opportunity: Bridging Cultural Diversity for Competitive Advantage, which has sold over 3,000 copies (2013). Throughout his consulting practice, Lionel Laroche makes use of his 30 years of international engineering, management, sales and human resources experience, working with people from over 60 countries. He has worked in eight different countries for several multinational companies, including Xerox, Procter & Gamble, British Petroleum, and Jeumont-Schneider. Born in France, Lionel Laroche obtained his Diplôme d’Ingénieur Polytechnicien from the Ecole Polytechnique de Paris. Laroche also holds a Ph.D. in Chemical Engineering from the California Institute of Technology. He worked for Procter & Gamble in Canada, Germany, Italy and the U.S.; he also worked for Xerox and British Petroleum. In all cases, he was part of multinational project teams where cultural differences had far more of an impact than most of his team mates realized. This led Lionel Laroche to start his own cross-cultural consulting firm in 1998. As a result of his up to date knowledge and expertise, Lionel incorporates all the lessons he has faced within Canada’s work environment and information he learns through his consultation practice to every audience. Lionel lives back and forth between Calgary and Toronto. His travel fees depend on where he is located during the time of your event. What makes you a good leader? The answer to this question varies significantly from country to country. 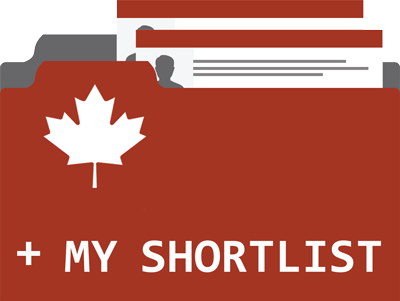 Think about it this way: Would George W. Bush have been elected in Canada? Not a chance. Would Jean Chrétien have been elected in the USA? No way. Yet, they were both elected and re-elected in their home countries. When choosing a leader, Americans want someone who has a vision and the ability to implement this vision (including the ability to force his or her opponents to accept his or her vision), while Canadians want someone who can find solutions that everyone can live with. While most leadership models tend to consider that the characteristics that make people good leaders are universal, this example suggests, and our experience and research demonstrates, otherwise. This Interactive session is designed for anyone who leads or wants to lead culturally different people, because the organization they lead is culturally diverse, global or both. It explores how cultural differences impact several critical elements of leadership, such as managing projects, helping teams reach their full potential, making decisions, managing conflicts within a group or an organization, and building trust. By combining powerful diagrams, insightful anecdotes and practical tools, this interactive session helps participants determine how they can adapt their approach to leadership in order to increase their influence on the culturally different people they want to lead – be they clients, employees or other stakeholders. 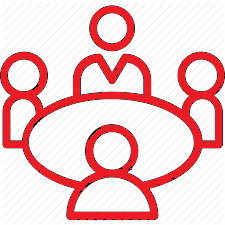 The work force of many organizations in Canada looks like the United Nations; it includes people who were born and educated in many different parts of the world. Since the way people were brought up has a significant impact on the way they think, communicate and respond in a wide range of professional situations, cultural diversity creates both challenges and opportunities. In most cases, the challenges come first; the benefits come when people from diverse cultures have learned to work with and trust one another. They can then come up with innovative solutions because they look at the same problems from different angles. Using insightful presentations combined with experiential exercises, case studies, role plays and group discussions, this presentation / workshop helps participants understand the impact of culture on people’s thought processes so that they can communicate and work more productively with culturally difference colleagues. Participants learn and discuss best practices to help their organizations form a new inclusive culture, which becomes a competitive advantage for their organization to achieve better business results. For most universities and colleges, attracting and integrating foreign students is a clearly-defined strategic goal given the higher fees these students pay compared with domestic students. In many cases, both faculty and staff realize that this creates some challenges, since foreign students have different ideas when it comes to education. For example, concepts like academic honesty and initiative often seem foreign to many of them. They also approach higher education in a different way, focusing on their grades, taking summers off to go back to their home countries and taking a wide range of courses. In addition, the way they interact with faculty and staff creates challenges on both sides. Using insightful presentations combined with experiential exercises, case studies, role plays and group discussions, this presentation / workshop helps participants understand how the educational system is structured in the home countries of most foreign students and helps them understand how this educational system has shaped the way foreign students think, communicate and respond. Participants learn and discuss best practices to help their universities / colleges modify their approach to foreign students at the individual level, at the program level and at the faculty level. Cultural differences bring both advantages and disadvantages to teams. While differences in thought processes and perspectives generate creativity, innovation and growth for everyone involved, the same differences often create frustration and misunderstandings. When they are not caught early enough, these misunderstandings lead to rework, increased costs, lost productivity, and missed deadlines; in the more severe cases, they can lead to lost customers or workplace accidents. 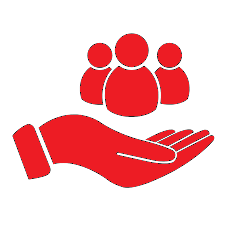 This session explores what being a good team player means in different cultures. Using a powerful experiential exercise and insightful diagrams, it helps participants understand the differences between collective and individualistic teams and provides concrete tools to bridge the gap within multicultural team members. Participants come out of this session with a renewed sense of purpose and better communication protocols within their team. 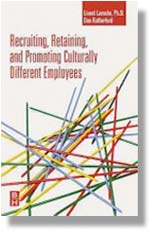 This book provides practical suggestions and tools on how to modify your recruitment and selection process to avoid rejecting culturally different candidates for reasons that are not related to their ability to do the job; and develop and promote culturally diverse employees to ensure your organization capitalize on the new ideas they bring. This book provides clear and tested strategies to improve communication and increase productivity among culturally diverse technical professionals and teams. Drawing on their extensive experience of working with multicultural and multinational organizations, Lionel and Caroline provide in-depth analysis of the cross-cultural dynamics in these business situations and practical suggestions at both the individual and organization level. 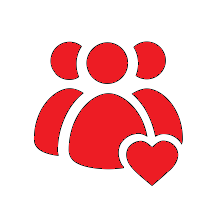 Most participants describe our workshops as thought-provoking, informative, practical and entertaining. We often hear comments like "I wish I had known this six months ago, when I started working with India" and "My colleagues need to attend this workshop." Indeed, most of our work comes from internal referrals. For example, we did a series of 20 workshops for Scotiabank IT leaders, starting from the CIO and his direct reports all the way down to all IT team leads. At every level, people said that they greatly benefited from attending our workshops and recommended to their direct reports that they attend. The impact and effectiveness of our workshops can also be measured by the evaluations we obtain at the end of each workshop. Our workshops are almost invariably in the top two or three workshops offered by the organization. Dr. Lionel Laroche was awarded “Trainer of the Month Award” from Microsoft. On a 10-point scale where 1 is poor and 10 is best, our workshop overall ratings exceed 9 at least 95% of the time.